WOW! Gorgeous VALLEY and MOUNTAIN VIEWS on 7 acres. 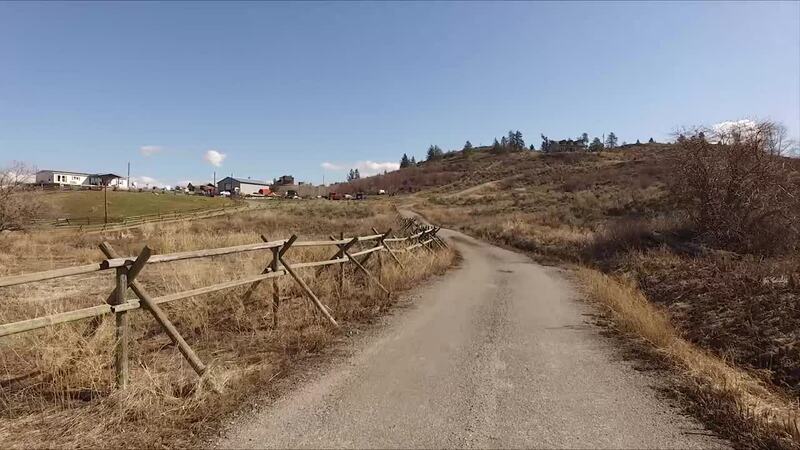 Serene Country Living and only 8 minutes to Downtown Osoyoos. Recently remodeled (2013-2014) & repainted in March 2019. This bright 2 bedroom / 2 bathroom home is almost 1,500 sq. ft. on one level with beautiful vaulted ceilings and lots of room for expansion & outbuildings. Great property for horses (shelter & fenced/cross fenced) or sit back, relax & enjoy the 700 sq.ft. no maintenance sun deck looking out to the valley vistas. BONUS - recently installed HIGH SPEED FIBER OPTIC. Other features include - central heating and air conditioning, water softener, a wood stove for those cozy winter nights, R.V. hook-up and a good working well. View to appreciate! All measurements approximate, to be verified by the Buyer. The blue circle drawn on the map represents the area which is most likely to contain listings comparable to 16994 Old Richter Pass Road. If you wish, you may adjust the circle by dragging the white center handle to move it, or dragging one of its other white handles to resize it. Press the 'Next' button at the top when finished.